It was reported that TVB actress Fala Chen will not renew her contract with the company, stating that she will be taking an acting class in New York instead. According to Popular Asians, with her contract with TVB deemed to expire in May, rumour has it that TVB has offered her an 8-digit sum. However, the actress has determined not to renew her contract. “I’ve always wanted to leave the film set and watch different performance platforms to improve myself. I’ve mentioned this to the company before. I’ve planned this for several years and have mentioned this to the company before, so I want to take this chance to refresh myself,” the actress concluded. After Kevin Cheng turned down the drama due to his busy schedule, it was reported that another “Bu Bu Jing Xin” actor, Lin Gengxin will not be returning to the sequel as well. As reported on Jayne Stars website, the drama’s big breakout star was rumoured to have been involved in a conflict with his management company, Chinese Entertainment Shanghai, which coincidentally, is also the production company for the drama. The 24-year-old actor revealed the reason for his absence from the sequel, “Bu Bu Jing Qin”, saying that he has not received a script of the drama. Rumour has it that Raymond Lam’s wealthy old man, Lam Kwok Wah, is not happy with his son’s continuous spending for his rumoured girlfriend, Karena Ng. As reported on Popular Asians, rumours are rife that the real-estate developer is doubtful about his son’s new relationship with the 19 year-old Karena, as he suspects that she is out for his money. 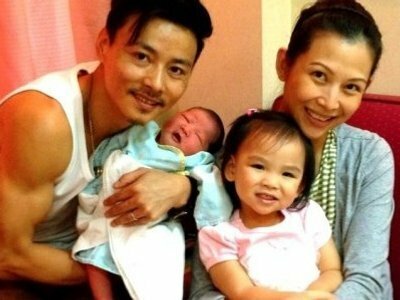 Raymond’s father was wary of Karena Ng’s romantic past, as the actress has reportedly cohabitated with Ellen Wong’s son, Derek Lim, and was also romantically linked to textile entrepreneur Lam Kin Ming’s son, among other wealthy elite men. Kevin Cheng‘s popularity rose immensely with his portrayal of the Eighth Prince in the China drama Scarlet Heart (Bu Bu Jing Xin). His fellow cast members also gained widespread recognition for their roles and allowed all of them a steep increase in pay. Kevin’s earnings went from 100K per episode to 350K per episode. While everyone is anticipating the sequel to the successful BBXJ, Kevin confirmed yesterday that he would not be taking part in the drama as it would conflict with his filming schedule. Kevin expresses his regrets for not being able to film with the original cast and will not be able to reap in the earnings for the 40-episode drama. Lately Kevin has been busy attending events in Mainland China and it seems like his rise in popularity has no end in sight. With his portrayal of the Eighth Prince, he also created a huge fan base in China. Kevin returned to Hong Kong yesterday to film an advertisement. He revealed that he will be taking part in a new series that will start filming in February, but it won’t be for BBJX2. “Originally BBJX2 was suppose to start in December, but because there were still revisions to the script, it was pushed back until March. I already accepted another project which will start filming in February, so I won’t be able to participate in the sequel. It’s a bit of a regret. 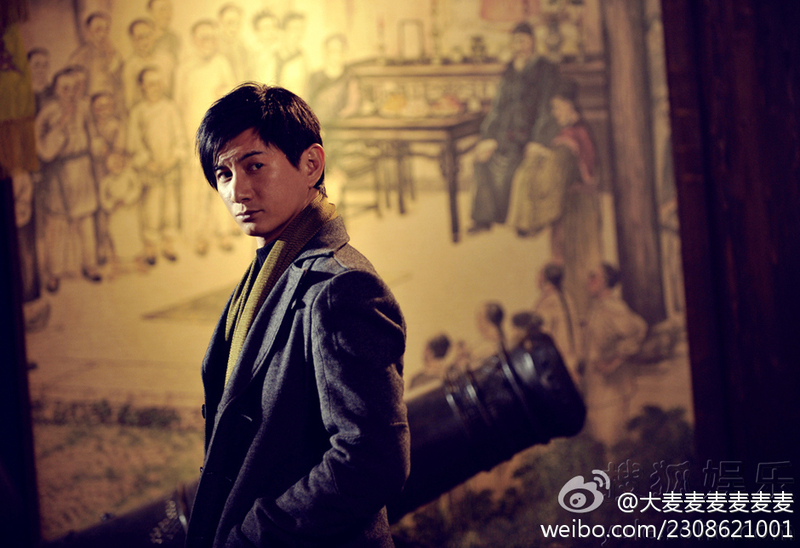 But as far as I know, Nicky Wu and Cecilia Liu have already been confirmed for the project. With them leading the drama, I’m sure both the ratings and the reception will be great. If there is an interesting character, perhaps I will make a guest appearance.” As Kevin’s per episode earning is estimated at 350K and with BBJX2 being 40 episodes long, Kevin will likely lose out on a $14 million paycheck. Aside from that, there’s bound to be disappointment from his fans. Chinese Entertainment Shanghai, the production studio of the smash hit mainland Chinese television drama, “Bu Bu Jing Xin” has confirmed that a sequel to the drama is finally in the making. However, as reported on Popular Asians website, rather than making a direct sequel of the drama, “Bu Bu Jing Xin 2″ is reported to be a reboot of the main characters in a new storyline, and was renamed “Bu Bu Jing Qing”. In the new modern instalment, the drama revolves around the story of a white-collar worker Zhang Xiao who is hired to work at one of mainland China’s largest companies, the Zhentian Internet Group, in Shanghai. Zhang was then ostracised by her envious colleagues, but got the attention of her boss Yin Zheng. Zhang and Yin’s relationship are then tested when she meets the high executive, Kang Sihan. Nonetheless, other than the main protagonist’s name, “Zhang Xiao”, linking the two productions together as one franchise, the plot in “Bu Bu Jing Qing” will not follow events that occurred in the final episode of “Bu Bu Jing Xin”. Cecilia Liu is confirmed to reprise her role as Zhang Xiao while Nicky Wu also confirmed his starring appearance. However, another original cast, Kevin Cheng has yet to make his confirmation. Chinese Entertainment Shanghai disclosed that if everything is settled, the drama is scheduled for filming after Chinese New Year. You are currently browsing the archives for the Chinese Entertainment category.